Phenylephrine is medication for relief of blocked sinuses, stuffy nose and ear problems arising from the common cold, allergies, flu and other respiratory problems. It eases discomfort and makes breathing easier. For a pregnant woman, however, if she gets a cold or an allergic attack, she might get into the dilemma of taking medications because they might harm the unborn baby. In this case, is it safe to take phenylephrine during pregnancy? Can You Take Phenylephrine While Pregnant? The FDA has assigned phenylephrine to pregnancy category C – although animal studies have shown adverse effects, no controlled data on human pregnancy is available. So the risk is unknown. Use of phenylephrine by a pregnant woman is only recommended if the benefits outweigh the risks. You should definitely consult your doctor about the damage and the dosage before using this medicine. Otherwise, use of alternative treatment is advised whenever possible. Even if you are allowed to use this medicine, for the safety of you and your baby, you should avoid it during the first trimester. Once the pregnancy is past the first trimester, taking this medication occasionally, and for not more than one or two days may be safe. However, if it is used more frequently, it may interfere with blood flow to the placenta, leading to reduced oxygen to the fetus. This may later lead to birth defects, including heart problems in the baby. Extended use of the medication can also put pregnant women at a higher risk of hypertension in pregnancy. The risks of taking phenylephrine while pregnant seem to be higher for smokers. Many other generic products also contain phenylephrine; it is usually combined with other drugs including guaifenesin and dextromethorphan. Always remember to read the label to guard against use of phenylephrine while pregnant and ensure that any medications you take is safe for your unborn baby. Instead of worrying the safety of phenylephrine, you can use the following natural remedies to relieve your respiratory problems. Put hot water in a bowl, then take a large towel and cover your head over the hot water bowl. Keep your head in the steam environment, inhaling and exhaling the steam for several minutes. The treatment will help clear your blocked nose and ease your breathing. Bring a humidifier or vaporizer into your bedroom and use it when you sleep. It will add moisture in the room which will help clear your stuffy nose as you sleep. Ensure that you regularly clean and change the water in the vaporizer to prevent growth of bacteria. A few drops or a spray of the saline solution into your nostrils helps clear your nasal passage within 10 minutes, making it easier for you to blow your nose. Press a finger or thumb over one nostril and gently force air out through the other nostril. Repeat with the other side and keep alternating until you can feel some relief of the congestion. 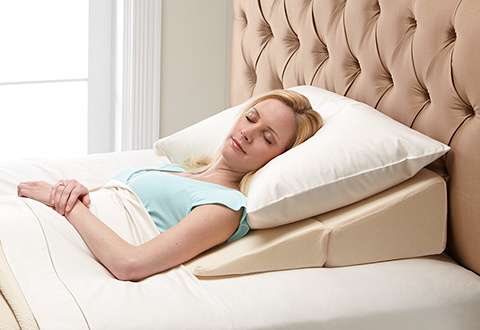 Putting several pillows under your head to keep it elevated when you sleep helps to relieve your nasal congestion. If you feel the angle of elevation is uncomfortable, try placing the pillows under the mattress for a more comfortable slope. Irritants such as paint, cigarette smoke, alcohol and other strong smells can trigger or worsen nasal congestion. Avoid them as much as possible. Instead of taking phenylephrine while pregnant, a light workout or walk can help clear your blocked nose. But avoid working out outdoors since the polluted air may worsen the congestion. Regular cardio exercises improve the condition of your airways and help you sleep better. Rest and warmth can help you recover from a cold or flu faster by allowing your body to focus on fighting off the enemy infection. Drink water and other fluids throughout the day to clear congestion and keep your body and unborn baby healthy. You can also try herbal teas, ginger ale, fruit juices and chicken soup. Increasing your vitamin C intake helps to fight infection and reduces your chance of nose bleeding. Eat more vitamin C-rich foods such as fruits and veggies. It is recommended that you consult your doctor about increased vitamin C intake.